Root canals conjure up all sorts of horror stories, and people will go out of their way to tell you just how traumatic and painful they are. However, there’s no need to be scared. They don’t need to be painful. For the procedure, your dentist is able to inject your gum with anesthetic so you cannot feel a thing – and if you talk to your dentist beforehand and tell them that you’re worried about the pain, they will agree on a signal with you that you can use if the anesthetic wears off. This way, if you do start being able to feel pain, they can give you more anesthetic and numb the area again. Some people find that getting the anesthetic injection into the gum is painful, and the thought of this pain can be enough to put people off getting treated. However, if this is really upsetting you, then again – talk to your dentist. There’s a gel that they can use to numb the gum before the injection, so you don’t even have to experience any discomfort while you’re getting the injection. Once I found out about this, I was over the moon!. So is getting a root canal painful? It certainly doesn’t have to be! 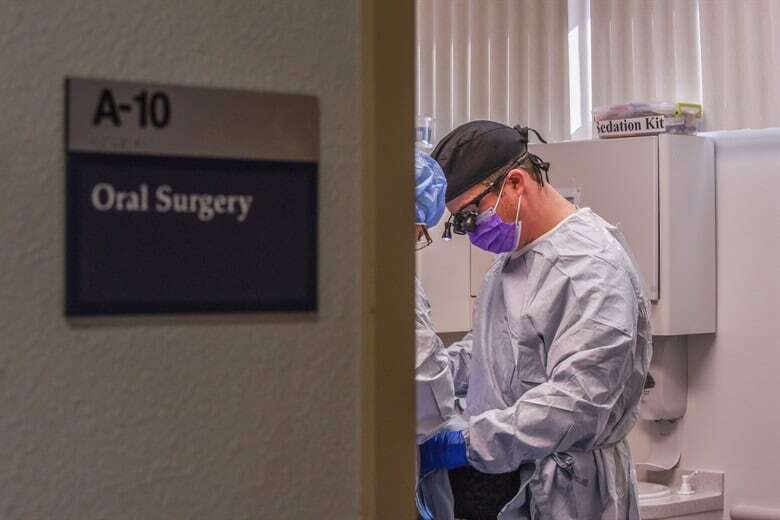 I have never been as terrified in all my life as I was when I heard the words ‘you need a root canal.’ This brought to me images of sadistic dentists carrying drills, unbearable pain and hours in a dentist’s chair. The first time I found out I needed three root canals doing; I was referred for sedation as I was a very nervous patient. When you’re sedated you’re still awake, but you are given a mild sedative such as Valium or Nitrous Oxide to help calm your nerves. Sadly, it did just the opposite for me – I didn’t react well to it, and I wasn’t allowed back to the sedation clinic because I shouted and screamed at the dentist, bit him and then burst into tears. Not my best moment… I realised that if I wanted to get my teeth fixed, then I had to get over my fear. I searched for information, I spoke to my dentist in detail about the procedure so I knew exactly what would happen and we worked on some coping strategies for me during the procedure. I was terrified during my first one, but once I realised that there wasn’t the horrendous pain that I’d been expecting I calmed down a lot for my second and third. When I needed a fourth doing a few years later, I wasn’t even worried about it – and I felt so smug about that! 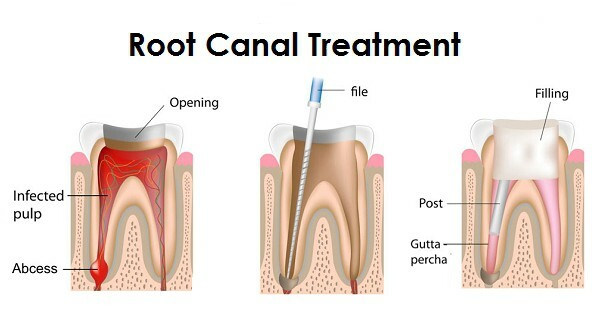 The term ‘root canal’ technically refers to the area inside a tooth. Inside this is the nerve of the tooth. A root canal procedure is a dental treatment that’s used to help get rid of tooth pain and also save teeth that are infected or damaged. Teeth can get infected when bacteria get caught inside the tooth and lead to infection, and often these bacteria destroy the tooth from the inside for a while before any pain is noticed. If this is left without being treated, it can cause an abscess. In fact, many people don’t realise that they need treatment until they notice that an abscess has formed at the base of the tooth. Firstly, the dentist will numb the area around your tooth. They will then gently drill into the tooth, remove the tooth from its socket and clean it. 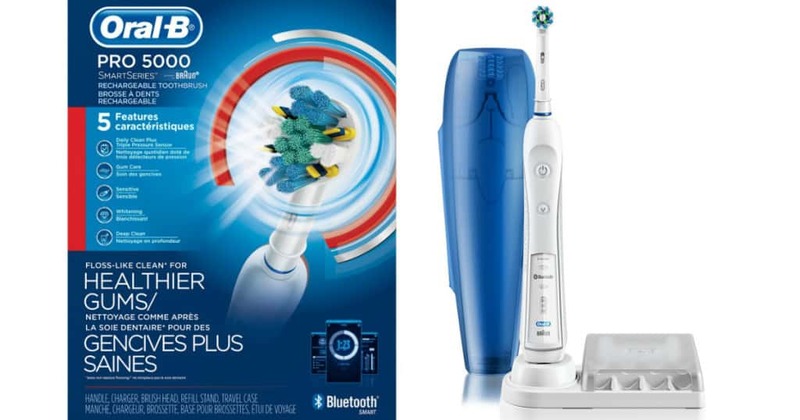 This will get rid of any infection or damage and remove any build-up of bacteria in there, so that you’re left with a tooth that is much healthier than it was previously. The nerve will be removed from the inside, as will the pulp around it. In some cases the dentist will also seal the tooth and insert a permanent filling in the same visit. In some situations a temporary filling containing medication will be inserted into the tooth and a second visit will be scheduled, in which a permanent filling or a crown is fitted. Your dentist will tell you whether you will need one or two visits to complete the root canal, which will depend on how comfortable you are with having a long procedure done and also how the tooth is responding to the procedure. In What Situation Will I Need A Root Canal? This procedure is needed when the inside of a tooth (the root canal) becomes infected. This happens because either the nerve tissue or the pulp inside a tooth is damaged, which can occur due to a multitude of reasons. A cracked tooth can cause bacteria and then infection to seep into the tooth and this will then require a root canal. If a tooth has had many procedures already performed on it then it will be more susceptible to decay and infection. Anything that negatively impacts your dental health will increase your chances of needing a root canal, as when the inside of a tooth becomes infected then a root canal is needed. If you want to save your tooth after it’s become infected, then a dentist will often recommend a root canal. If you are planning on getting a crown fitted, then a lot of the time a dentist will perform a root canal procedure first. The days of dentists being unsympathetic and not caring about inflicting pain are long gone – nowadays, they want to make your experience with them as pain free as possible. They will always understand if you’re nervous or feel pain easily, so make sure you talk to them about this beforehand. During the root canal, as I mentioned before it’s possible to get your dentist to anaesthetise the local area so you don’t feel pain during the root canal. If you don’t feel much pain then there’s always the option to get the treatment done without anesthetic, but if you’re sensitive to pain or scared then there’s no reason to go through this. One thing you may well feel is the dentist applying pressure to the teeth around the one that they’re operating on. This pressure is often interpreted by the brain as pain for people who are scared of the dentist, so if you’re experiencing a certain sensation then don’t be afraid to ask the dentist to stop so you can talk about what’s happening. If you’re feeling pain during the procedure in an area that had previously been numb, ask the dentist to use some more anesthetic. If you can’t handle the pain of the anesthetic injection in the beginning, don’t be afraid to ask for some numbing gel to be put on first. If the thought of this procedure is still too much for you to cope with, then ask for a referral to a sedation clinic. Here you will be given a mild sedative, such as Valium or Nitrous Oxide, which makes most people so relaxed that they can deal with anything. The trick is to find out what works for you! Is There A Chance the Root Canal Will fail? Mistakes made by dentists can cause a procedure to fail, but these are rare. When failure occurs, it is much more likely that this has happened due to decay or tooth damage that is just too advanced to be fixed with a root canal. A dentist can do everything they can, but if you have persistent gum disease or your oral health is not well looked after, infection can still take hold and you will run the risk of losing your tooth. It is possible to perform a second root canal if you are still having issues after surgery, so bear this in mind and don’t let yourself get too downhearted if you feel that the surgery hasn’t worked quite the way you were hoping it would the first time. 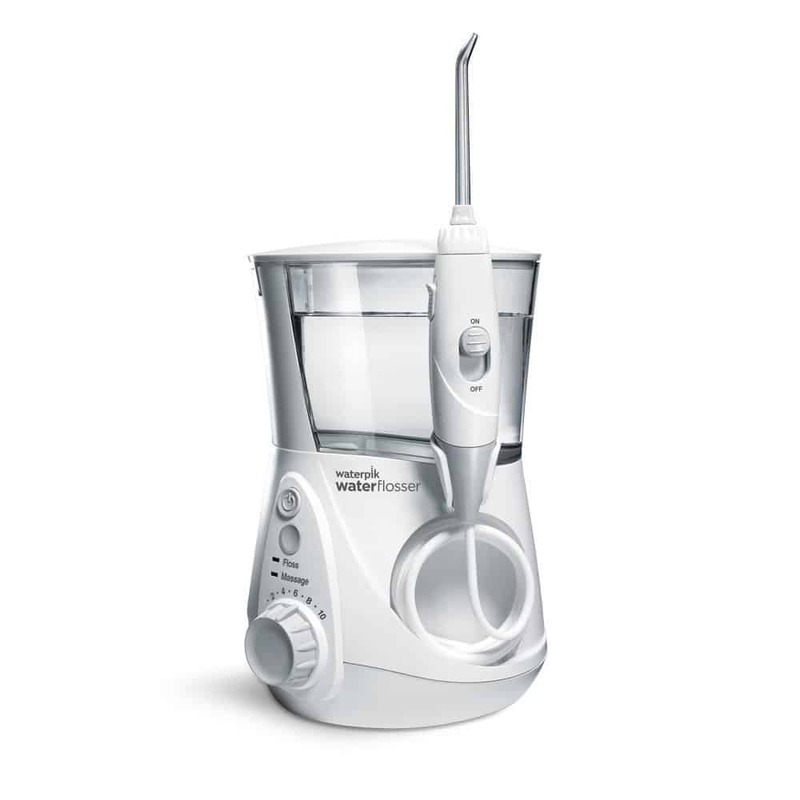 There are many ways that you can help to manage the pain of a root canal at home. Your dentist will tell you how often you can take paracetamol and ibuprofen- these are not suitable for everybody, but if you’re able to take them then these will help to keep you as pain free as possible. Rinsing salt water around your mouth will help both with the healing of your root canal and the pain – however, ask your dentist how long you need to wait before you can use a salt water rinse. Avoid chewing anything with the tooth that you’ve had the root canal, as this will hurt after the procedure – also be aware that hot and cold food may hurt the area as your mouth will be more sensitive. 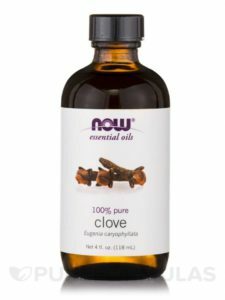 Many people find that clove oil is good at taking away pain – it’s a natural oil extract, and while most people think it tastes rather horrendous, if you can cope with the taste then it helps to numb the area. I have written a whole article on this subject and even recommend my personal favourite. You can read that here: Clove oil for toothache. 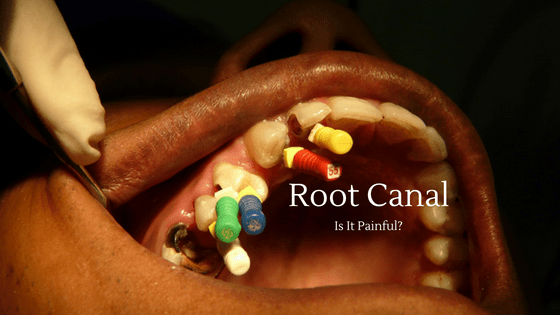 Does a root canal have to hurt? – We’ve looked at this in detail – it absolutely doesn’t! Work with your dentist to make your root canal treatment as pain-free as possible. Will I be unable to eat for days/weeks afterwards? – The effect on your eating is no more than it would be were you to have a filling. Simply avoid the area of the mouth that you’ve had the treatment in, and you will have no problem eating in the time after the surgery. It’ll hurt for weeks after, right? – No! Normal paracetamol and ibuprofen is more than enough to keep pain at bay, and if you avoid very hot or very cold foods the day of your surgery, within 24 hours you’ll start forgetting you’re supposed to be in pain. It’s easier to get the tooth taken out than have root canal surgery. – This certainly isn’t true. Your mouth is designed to have a certain number of teeth in it – there’s no doubt that your oral health is at its best when you have all the teeth you’re supposed to have. Many people feel it will be easier to have an extraction, then a bridge or an implant fitted rather than have root canal surgery, but the truth is that having a root canal is much easier, quicker and simpler. The procedure will take hours! – Many dentists will split the procedure up into two visits, especially if you struggle being at the dentist for long periods of time. Even if you have the whole procedure at once, it only normally takes around 90 minutes – the length of a sports match of your choice! Getting root canal surgery done can be very daunting. It has such a stigma attached that it’s normal to feel scared. But there’s no need to be! If I can go through with the procedure, I know that any of you can. Find a coping mechanism that works for you – I find listening to music on headphones during the procedure works wonders for me, as it takes my mind away from what’s going on. I had one dentist teach me to slowly bend one big toe, then the other, and focus on that – strangely, it really does seem to work as a distraction! Everybody has their own comfort levels and their own ways of dealing with pain and nerves – bring your dentist to your side and treat them as a friend – ask them for advice, and find your own ways to cope and to become totally relaxed at the dentist. Soon, if somebody asks you what root canal surgery’s like, you’ll be able to say “You need a root canal? And you’ll feel great when you do! I really am terrified to get a root canal. I wont even go to a dentist. Bad experience with dentists when I was young. I do however like the clove oil for pain. I get the occasional toothaches and I always go for the clove oil. I mix clove powder, turmeric powder with a few drops of home made coconut oil, and it works like a charm. Thank you for this article though. It’s given me a better understanding of what a root canal is and the process in how it is performed. When you explain it here, it doesn’t seem so scary. I just might make an appointment to see a dentist. Always go to a dentist for a checkup every 6 months because they are the true professionals and can best help you with any oral problem you may have. Root canals are no more painful than getting a filling and especially if they give you a numbing injection or cream beforehand. Thank you for this post. So many people are afraid of dentists. And most fear the words “root canal”. Education on the subject put me at ease for sure. I’m one of those people who has avoided the dentist from time to time because of pasts experiences with dentists who make you feel like no matter what you do it’s just not good enough. It might seem petty or juvenile but I need positive reinforcement from my dentist, not judgment. Sounds like you suggest working with a dentist who is a good listener. Do you have any other tips for finding a really good dentist? Go see 3 different dentists and listen to what they say. If they all agree on the same treatment options then you know they are on the right track. I would then look at the one who actually listens and tries to work with you rather than someone who is going to judge you and tell you only 1 solution to a problem. Usually there can be 2-3 different treatment options depending on your issues. Great article. I actually love going to dentist even then root canal isn’t that fun but it is doable. I had to a couples done thanks to my poor hygiene when I was a kid. Unfortunate for me, one of teeth with my root canal work end up need extraction! But overall the experience and recovery was not too bad. That’s good to hear Sophorn. You might be in the minority because all the people i know hate visiting the dentist. Unfortunately some root canals fail and need extraction but atleast you only had 1. We hear stories of people who need an entire new set because of the damage they caused when they were younger. 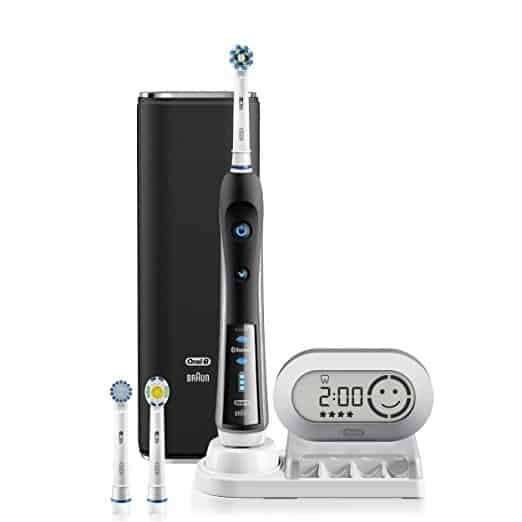 Taking care of oral health is important. There needs to be more emphasis on this subject! It’s weird to like going the to dentist maybe because I go there too often lol. True that, I know working hard to do more for my oral health.